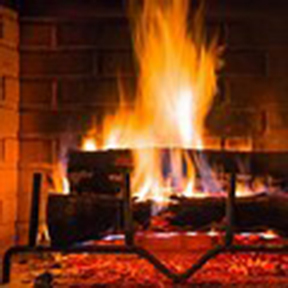 Wood burning fireplaces are a major contributor to 'winter smog' says letter writer. This is the first time I’ve written to a newspaper about an issue. I have become inspired by the actions taken by other cities and communities that I feel has been overlooked in our community, one that is directly relevant to our MP, Nathaniel Erskine-Smith’s recent call to action in the Nov. 13 issue of the Beach Metro News to reduce climate change. As someone with breathing difficulties, I have become acutely aware of the numerous residents in our neighbourhood who are burning wood in their fireplaces most fall/winter evenings. Though wood burning has typically not been signaled out as an environmental problem, scientific studies have shown that the particulate matter from wood burning is highly damaging to the lungs and in some communities exceeds particulate emissions from vehicles and industry. In Montreal several years ago, wood burning was the main cause of “winter smog” and winter air quality in Toronto has also been seriously affected by this practice. In addition, wood burning is a source of carbon emissions, both in the combustion process and the cutting down of trees that take carbon dioxide out of the atmosphere. Refraining from burning wood is a simple way for us to improve the air that we breathe, and to reduce our carbon footprint through an individual act. The City of Montreal passed a bylaw that came into force on Oct. 1, 2018 to ban wood burning without proper filtering installations in fireplaces to meet stricter emission standards in order to improve air quality. Toronto needs to do the same. For people who suffer from asthma and COPD, wood burning can seriously impact their quality of life. Let’s do the right thing and take up the call to reduce climate change in our own fireplaces. It’s the least we can do for our community and for our planet.